Welcome to Westford Pilates & Yoga classes! We are committed to offering a friendly, welcoming environment where you can learn and perfect movements that will keep you going strong. Our well-trained instructor team will make sure you’re getting the most out of every class and moving in a way that’s right for you. Bring a comfortable mat or use one of ours. We’ll provide all the props you need and regularly incorporate use of the mini-stability ball, toning balls, flexbands, fitness circles, yoga blocks, yoga straps and more. 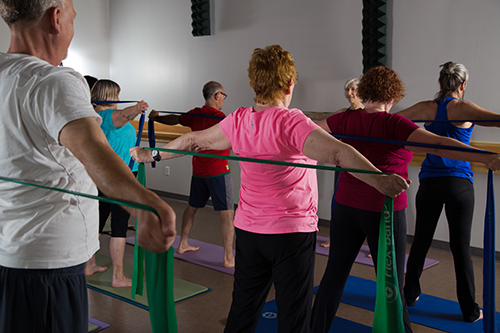 Our goal is to help you stay active no matter what your ability level! Use the links here to register for a drop-in or the full series. All packages begin upon date of first class taken.